Uganda became independent, and joined the Commonwealth, in 1962. 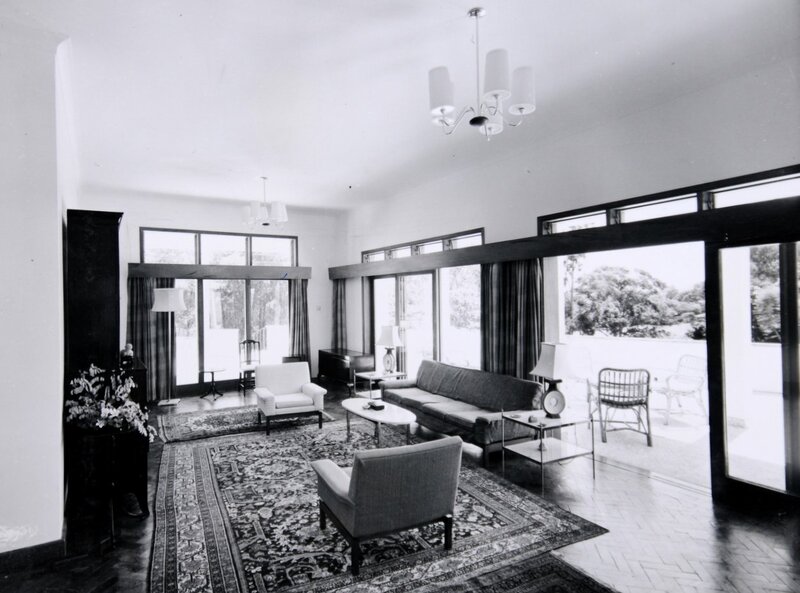 The house at 33 Kyadondo Road, with garden of just over half a hectare, was leased for 99 years in 1962 for the deputy high commissioner. It transpired, however, that nothing more suitable could be found as the residence for a high commissioner, and 33 Kyadondo was altered for this purpose, and more bedrooms provided in an adjoining guest chalet. 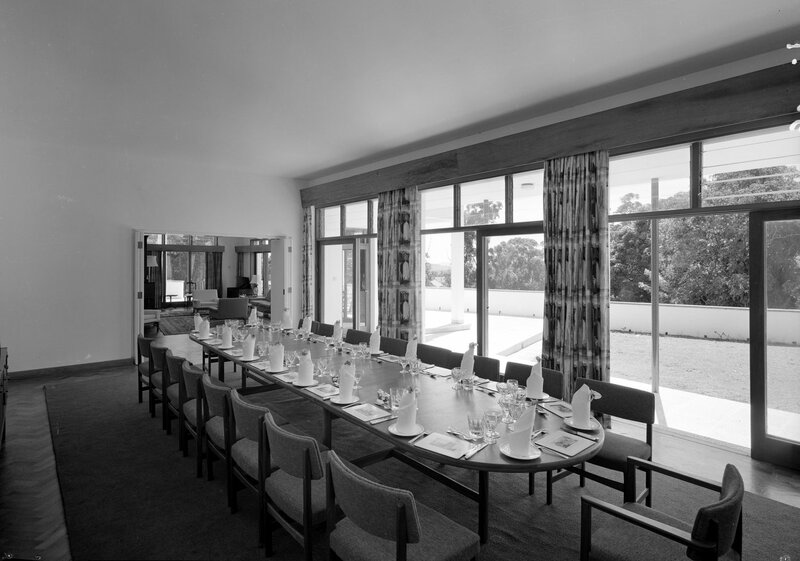 Despite some drawbacks, it remains the residence, with a swimming pool and squash court as amenities used by the staff. During the break in diplomatic relations between 1975 and 1979, the residence was let to the resident representative of the United Nations. 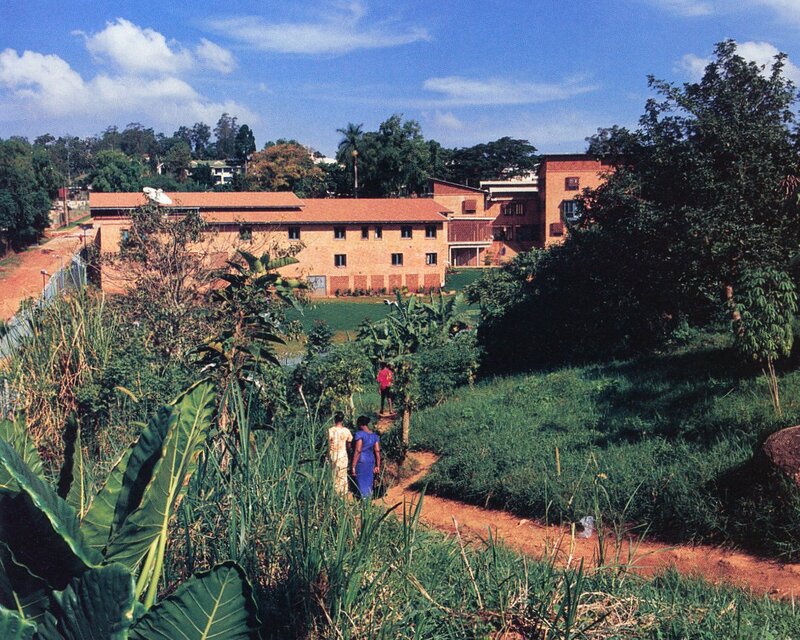 Ten other houses were taken on long leases in the first few years after independence, and a house was built on the site at 36 Upper Kololo Terrace in the late-1960s. 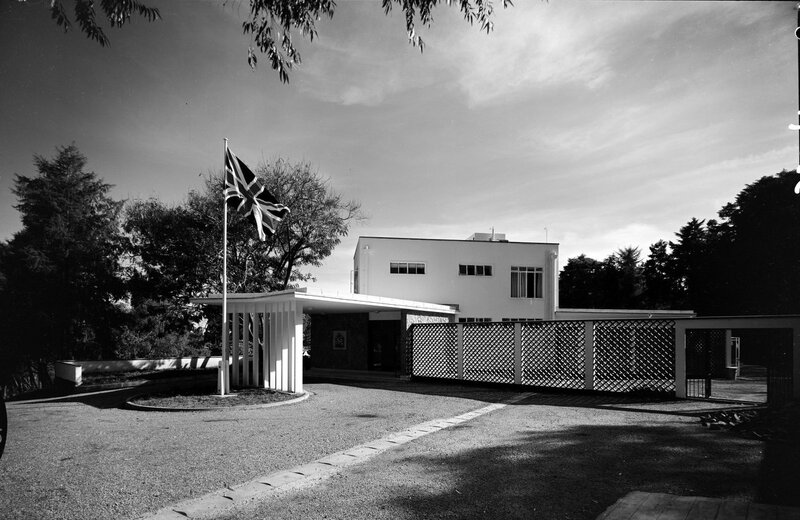 Residence from garden, with guest chalet at left, 1963. 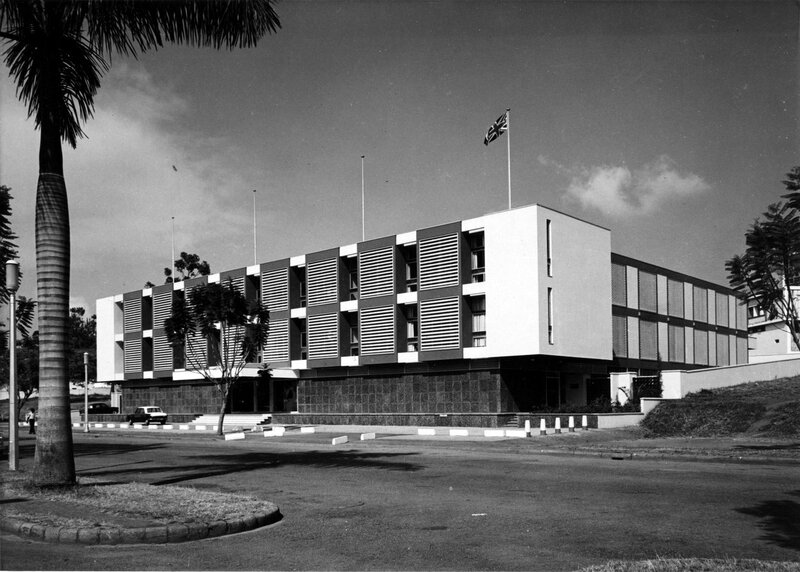 A 0.2 hectare site on which to build high commission offices was leased for 99 years from 1963 at 10-12 Obote Avenue (sometimes called Parliament Avenue). The building, square with a central courtyard, was designed by the Ministry of Works, with PA Searle the architect, and completed in 1967 [?]. 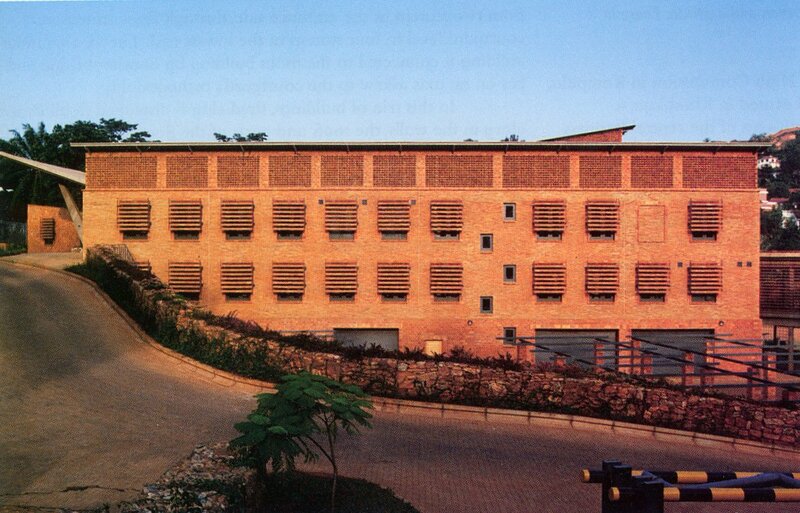 It was not many years before the building proved too large and surplus space was sublet, including to the British Council and the American embassy. 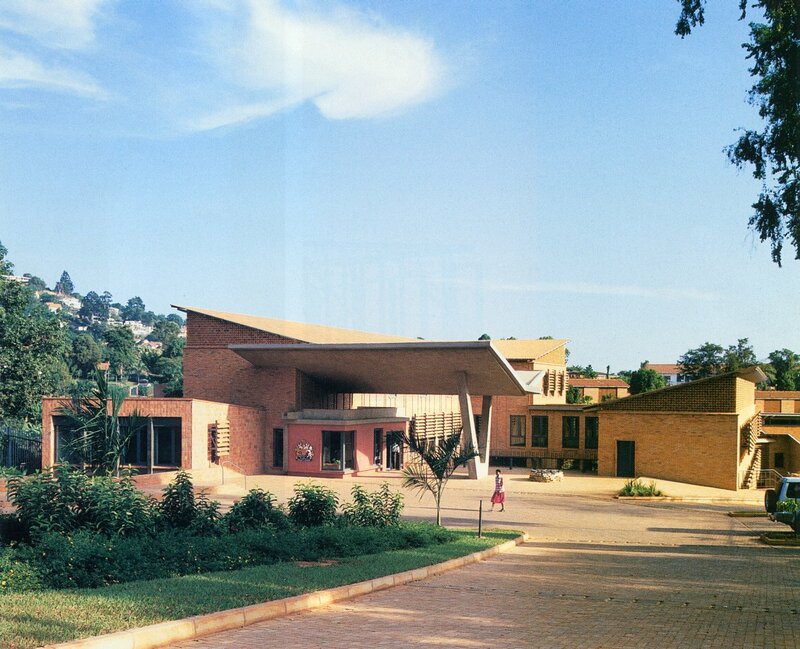 Following the introduction of a visa regime in 1990, space low down in the IPS building, next door at 14 Parliament Avenue, was leased and converted to visa uses. The 1998 bombing of the US embassies in Nairobi and Dar es Salaam was a clear warning that new offices, with greater stand-off distances than achievable near a city centre, were required. A new site was bought on the outskirts of the city for £540,000 in 2001, and Ridge and Cullum and Nightingale were commissioned respectively as project managers and architects. Cementers were the contractors. 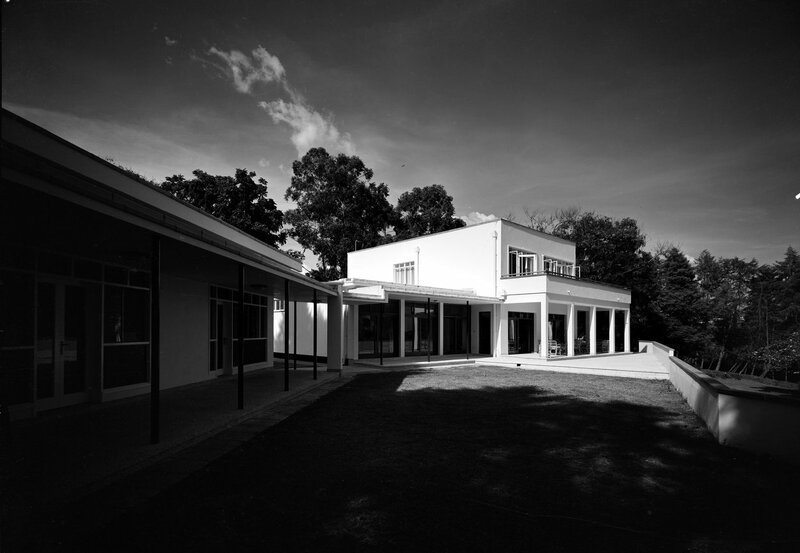 The development comprises three separate but closely-related buildings with a landscaped courtyard. After a succession of setbacks, the offices were opened in 2005, at an outturn cost of about £8 million. Offices on Parliament Avenue, 1971. Offices from the south, 2006. Entrance building from the carpark, 2006.